As one of the biggest makeup trends of late; Powder Brows are perfect for anyone looking for a bolder, more defined brow, with no gaps. Using specialised shading techniques, the powder brow is created using a mist of colour, with miniscule dots of pigment inserted into the skin which, when healed, leaves a soft, ‘powdery’ finish, much like when the brows have been filled with cosmetic powder. 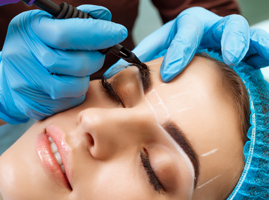 This method of micropigmentation tends to last longer than hairstroke brows, and is much more suited to an oilier skin type. One variation of the powder brow which is particularly popular with celebrities such as the Kardashians; is the very on-trend Ombre Brow. 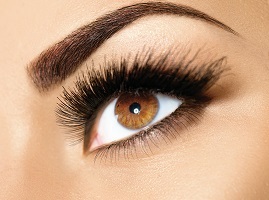 By using advanced pigment dilution techniques, the permanent brows are created darker through the body and arch, yet lighter at the beginning; hence them appearing ‘Ombre’. 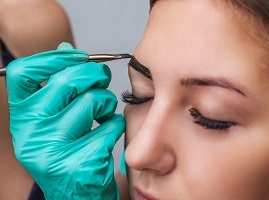 A full consultation will be carried out before the treatment to establish your colouring, personal preference and face shape, to ensure that you leave the clinic with the perfect powder brow for you.